The Classic incorporates a combination of approved belt drive design using a low noise AC motor with an ultra precision frequency DC-driven AC generator (like Speed Box) for ultimate speed stability. 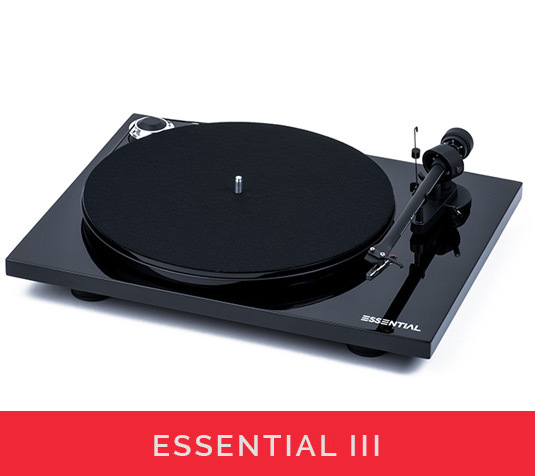 Equipped with the high-quality Ortofon OM10 cartridge, Essential III delivers lively, balanced and highly involving sound that will delight every vinyl lover. 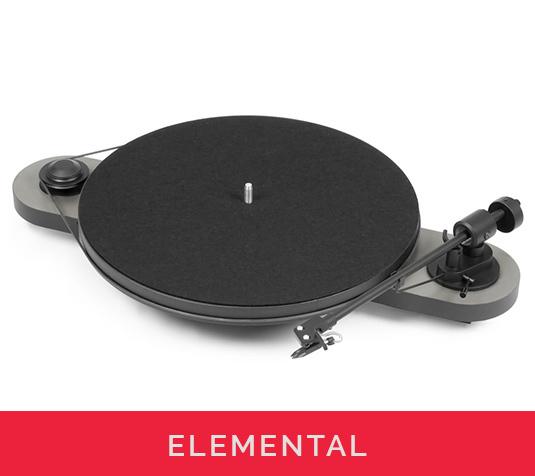 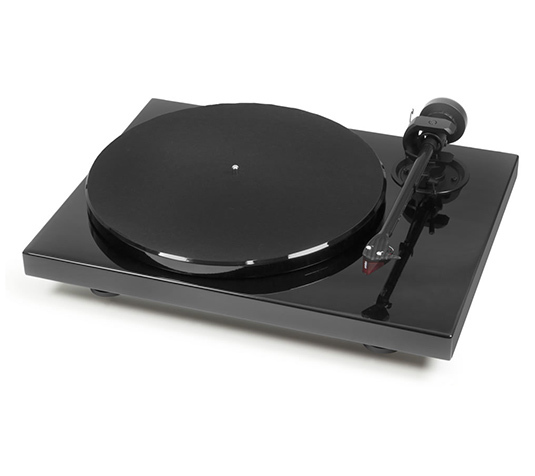 Since 1990, Pro-Ject Audio has been dedicated to creating audiophile grade turntables out of exceptional materials at an affordable price. Bring new life to your vinyl collection with a range of products to suit your style. Pro-Ject Teams Up With Klipsch! 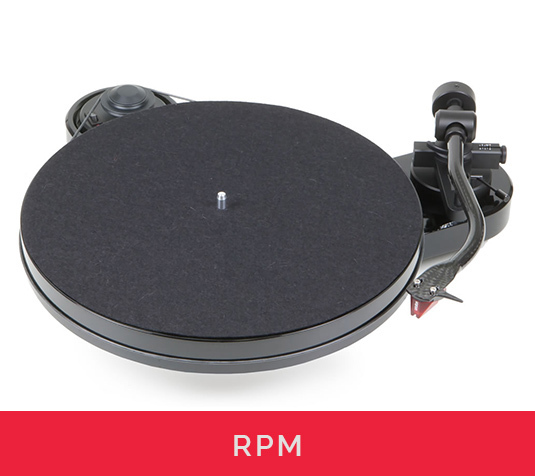 Pro-Ject and Klipsch are excited to announce a plug-and-play vinyl solution. 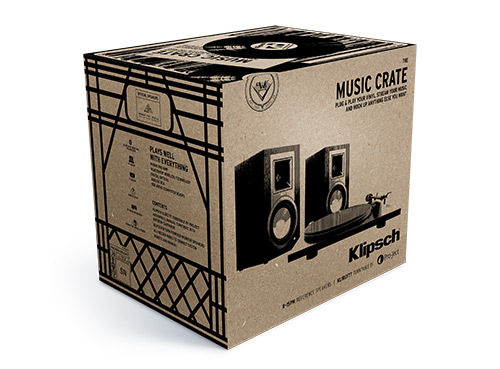 The Klipsch Music Crate features the incredible Klipsch Reference R-15 powered monitors and a Pro-Ject Klirefitt turntable. 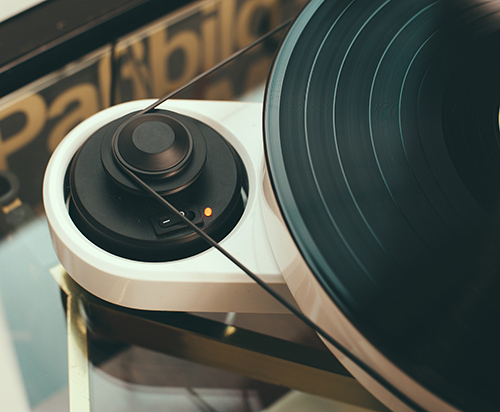 The ultimate vinyl listening system. 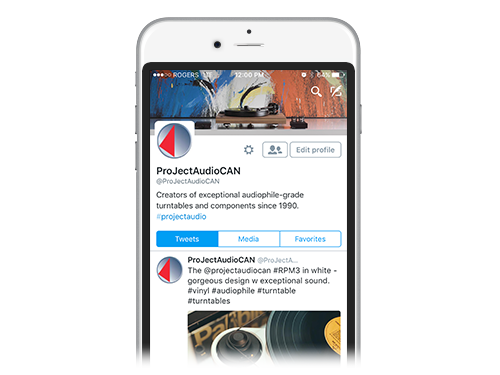 Follow @ProJectAudioCAN on Twitter or Instagram to get the latest news about our turntables and Box-Design components in Canada. See great turntable setups, recommendations on great new vinyl, and share your own Pro-Ject Audio turntables with the #ProJectAudio hashtag.